Reporter Al-Jazeera Who Paid for Brexit? 13 Dec 2018. Consultant and interviewee: German TV documentary on spyflights: Playing with Fire – The Hot Sky in the Cold War (Broadcast Summer of 2006) ARTE 52-minute version; Spring of 2007, MDR 45-minute version. 4 June 1998 Tx: Producer/Director – Channel 4 News Special on the anniversary of the Dispatches programme on the Kent and Canterbury cervical screening scandal (see below). Produced from the C4 News independent fund. 19 March 98: Producer – C4 Dispatches programme INSPECTING THE INSPECTORS – investigation into the school’s inspection agency Ofsted and its controversial boss, Chris Woodhead. 22 May 97: Producer – C4 Dispatches THE TEST – investigation into the scandal behind Britain’s biggest ever cervical smear rescreening. Also Producer of Channel 4 News special report to coincide with NHS inquiry stemming from the original programme (20 Oct 97). 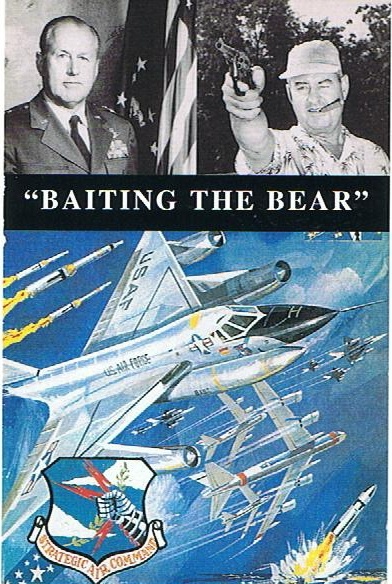 8 Oct 1996: Producer/originator – BBC Timewatch BAITING THE BEAR – how the real life Dr Strangelove generals brought us close to Armageddon. 21 Jan 1996: Producer/originator – Of BBC Timewatch RUSSIA’S SECRET WAR on Stalin’s role in the Korean War. 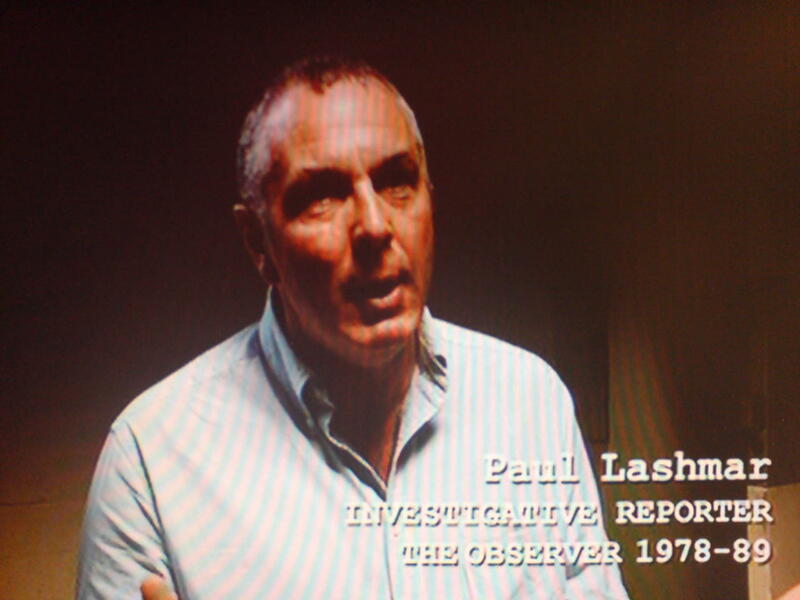 12 May 95: On screen reporter – BBC2’s Newsnight – a special Investigation into the shooting of unarmed man by police. 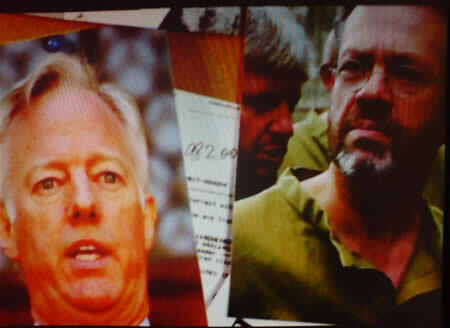 11 Jan 95: Development Producer and consultant – For The Torture Trail a one-hour special for Channel 4’s Dispatches. 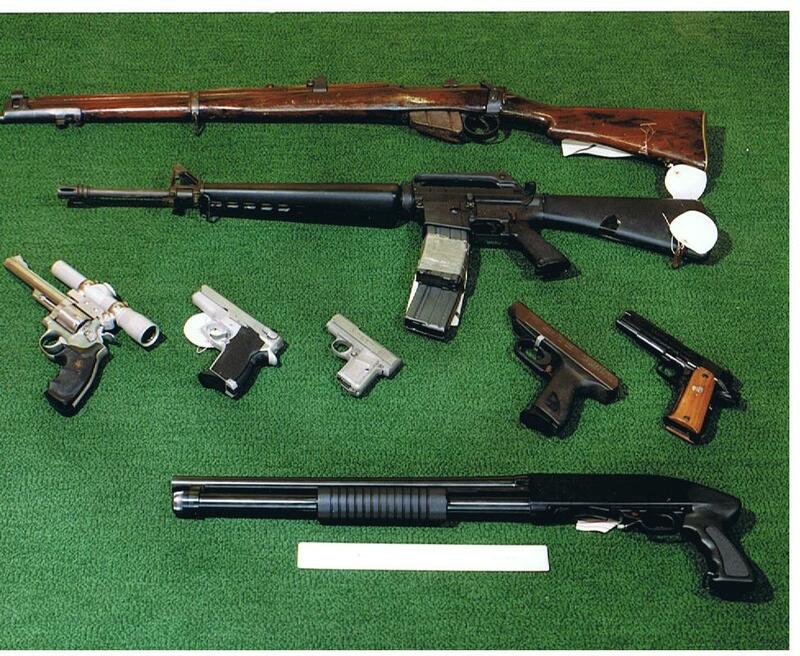 An undercover investigation into British companies who trade in weapons used in torture. 15 Nov 94: Consultant to John Pilger – For his Arms Trade documentary Flying the Flag, Arming the World for Network First. Aug 94: On screen reporter on BBC TV Newsnight – Special Investigation into bone rotting disease that afflicts divers and tunnel workers. 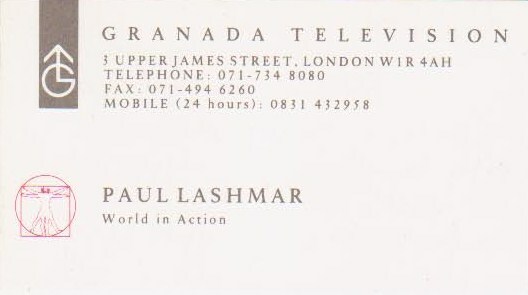 Sept 95-June 98: Development Coordinator for Brook Lapping Productions – A leading Independent TV Production Company. When not producing TV investigations, retained to develop ideas, both others, and mine for television. 1977-78 Swindon Viewpoint: My first serious involvement with film-making was as a student placement with Britain’s first access cable TV station. It was here I learnt to use cameras and edit suites. One student project was a programme on the concept of Access TV. Mar 93 - Call 999: An investigation into the slow response times of ambulances called to emergencies. Sept 92 - Death in the Fast Lane: An expose on the number of people killed by speeding police vehicles - both high-speed chases and 999 calls. July 92 - New Age Travellers: WIA followed a convoy of New Age Travellers as the journeyed across southern England for two weeks, documenting their confrontations with the police and local authorities. May 92 - No Fixed Abode 3: In this third and final part of series on homelessness we exposed unscrupulous landlords who had exploited the homeless, harassing tenants and milking the welfare benefits system. The programme pioneered the use of new concealed camera techniques. 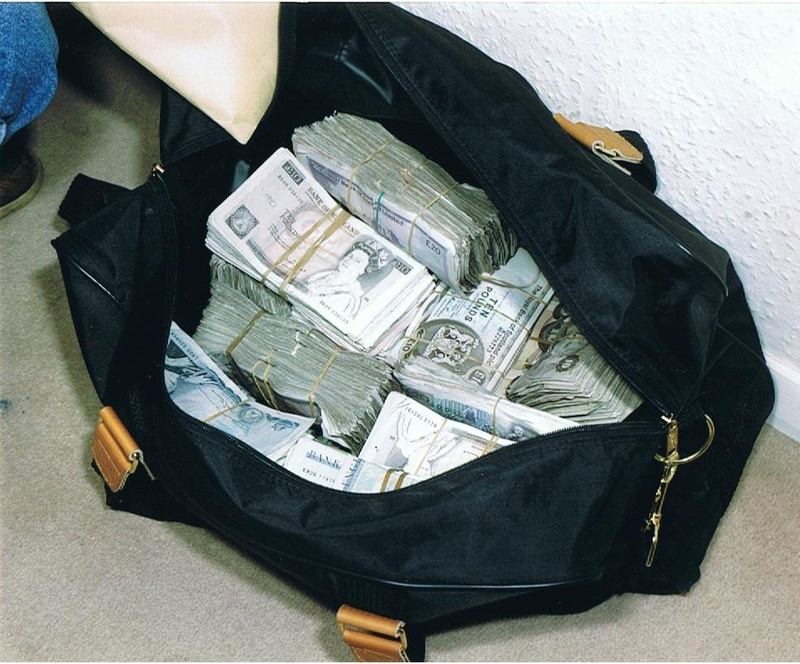 Feb 92 - Old Money: An investigation into sleazy mortgage brokers who had left 10,000 old age pensioners facing ruin. During the 80s boom many elderly couples were persuaded to re-mortgage their homes. Many faced repossession of their homes. WIA tracked down the culprits. Nov 91 - Trawling for the Truth: Investigating why so many trawlermen had died in hit & run collisions in the English Channel. In particular by examining the case of the "Ocean Hound" we revealed the incompetence of the Government's maritime investigation branch. June 91 - The Firm: An investigation into the Queen's tax status. It revealed secret deals that took the British Monarchy from taxpaying to a tax-free status in just 50 years. This programme created the debate over the Royal Family's finances. Feb 91 - Under the Curfew: Undercover investigation into Palestinian support for Saddam Hussein and life in the West Bank under the Israeli imposed curfew during the Gulf War. Warned of the rise of Hamas, the Palestinian militant fundamentalists. Dec 90 - The Child Killers of Brazil: Tracking down and confronting the death squad killers who murdered street children in Rio and Recife. Feb 90 - Send for the Sisters: How British Football clubs discriminate against women both as players and spectators. Nov 89 - A Question of Conviction: Comparison of the cases of the newly released Guildford Four and then still jailed Birmingham Six.